Pleasant ... I would like to say that the facility is very good. I book a room with hot water & air con for 3 days. First day, I took a cold water shower and stayed in a steamer. Second day, hot water & air con finally. But the third day, cold water again. 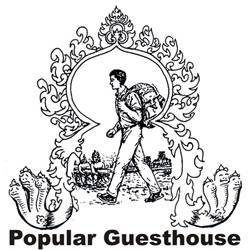 Welcome to POPULAR GUESTHOUSE, it‘s the best place to stay, located in the heart of Siem reap, in the old market area, close to the banks, pub street and the restaurants. Run by Cambodian, Mr. chum and the family, it‘s a pretty guesthouse, Khmer style, nature and culture decoration, top roof garden restaurant with the river view, friendly staff and help full, safety box provided that make your stay enjoy. 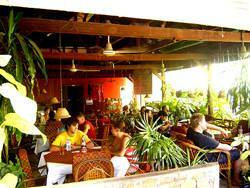 The top roof garden restaurant is the convenience for relaxing with the nature around we serve the breakfast , lunch and dinner from 6h00 am to 9h30 pm , try to get the test of real Khmer foods and European foods with looking over view of Siem reap river. Music TV, books is available. 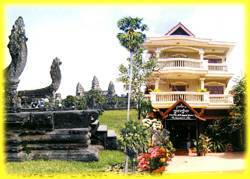 Tour for visiting the temple, car, Remork (tuk tuk), tour guide arrangement. We have our own driver to pick up you at the airport, bus station or ferry. They are honest reliable and well know us, they can also arrange the trip to visit the temple, take you around the Angkor area, make your trip enjoy and feel safe during your stay in the POPULAR GUESTHOUSE. 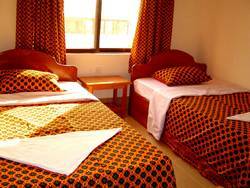 Large room, Khmer style decoration with Fan or A/C, TV, hot water. Popular Guest House is in convenient walking distance to Banks and many restaurants, Bar which located around market easy for your need. The security is better than other part of town. Booking cancellation must be made 24 hours before booking date. 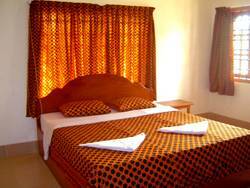 Late cancellation will be charge 1 night. 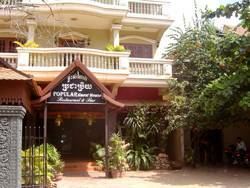 POPULAR GUESTHOUSE, it‘s the best place to stay, located in the heart of Siem reap, in the old market area, close to the banks, pub street and the restaurants.